Decision making in environmental projects is typically a complex and confusing process characterized by trade-offs between socio-political, environmental, and economic impacts. Comparative Risk Assessment (CRA) is a methodology applied to facilitate decision making when various activities compete for limited resources. CRA has become an increasingly accepted research tool and has helped to characterize environmental profiles and priorities on the regional and national level. CRA may be considered as part of the more general but as yet quite academic field of multi-criteria decision analysis (MCDA). Considerable research in the area of MCDA has made available methods for applying scientific decision theoretical approaches to multi-criteria problems, but its applications, especially in environmental areas, are still limited. 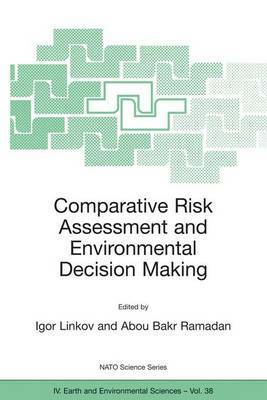 The papers show that the use of comparative risk assessment can provide the scientific basis for environmentally sound and cost-efficient policies, strategies, and solutions to our environmental challenges.